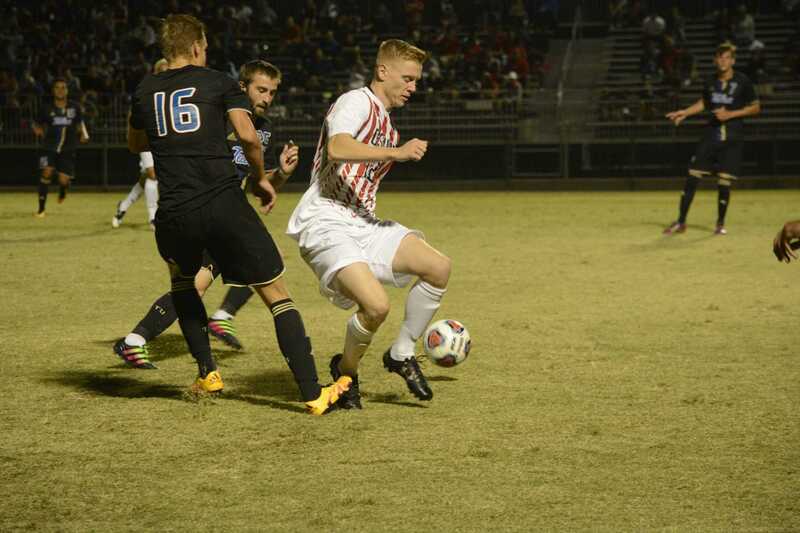 The CSUN men’s soccer team played their first road game of the season and lost 2-0 against the New Mexico Lobos. The Matadors came to the game with a win against Tulsa and the Lobos were coming in after a loss to Norte Dame. The first half was controlled by the home team who forced the Matadors to play most of the game on their heels. At the end of the first half, the Lobos took nine shots against the Matadors single shot. In the 23rd minute forward Niko Hansen scored the first goal of the season for the Lobos. The only good news for the Matadors was that keeper Kevin Marquez kept the game from being a blow out in the first half as he made three big saves. In the second half, the Matadors came with more intensity as they tried to look for the tying goal. They were no longer forced to play more defense and they were able to control the ball and force their way up the field. The Matadors had four corners in the second half, but where still unable to male a goal. Despite having more control over the ball, the Matadors saw themselves go down by two goals in the 70th minute. Lobos Devin Boyce scored on an outside shot that got past Marquez. That goal ended the Matador’s chance to tie or even win the game.